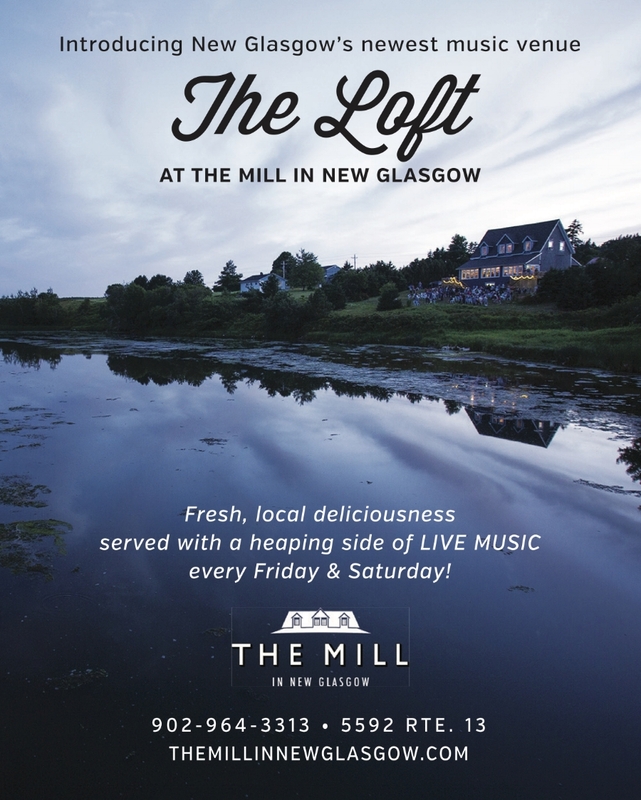 Follow our Facebook page for news on upcoming events in The Loft! Award-winning chef Emily Wells was born in London, England. She lived with her family in England, Germany and Sweden before returning to Canada in 1974 when her parents bought Cold Comfort Farm on Prince Edward Island. A graduate of the Culinary Institute of Canada, Emily is passionate about healthy local food and ethical food production. She has worked in restaurants in PEI and Ontario for the past three decades. Her latest adventures are as the owner of The Mill in New Glasgow, Youmeal.ca and The River Clyde Pageant. Emily was the winner of the 2015 Taste Our Island Award. In July 2016 she was named one of the top chefs in Canada by Matador Network. The Mill in New Glasgow started life as the New Glasgow Hall. It was built in approximately 1896 and served the community as both a courthouse and a gathering place for social events, meetings, debates and dances. In later years, the Hall was used for reserve army training sessions, local church suppers and Junior Farmer square dances. In the 1960s the Hall was converted into a grist mill by the Dingwell family and then sold to Roland Larkin in the mid-1970s. In 1997 it was converted by Roland's son and daughter-in-law, Harvey and Rosemary, into the Olde Glasgow Mill Restaurant. Chef Emily Wells purchased the restaurant from the Larkins in 2015 and renamed it The Mill in New Glasgow.